Are you interested in learning how to make money blogging and how to start a blog? Then the article below is what you need to get started. 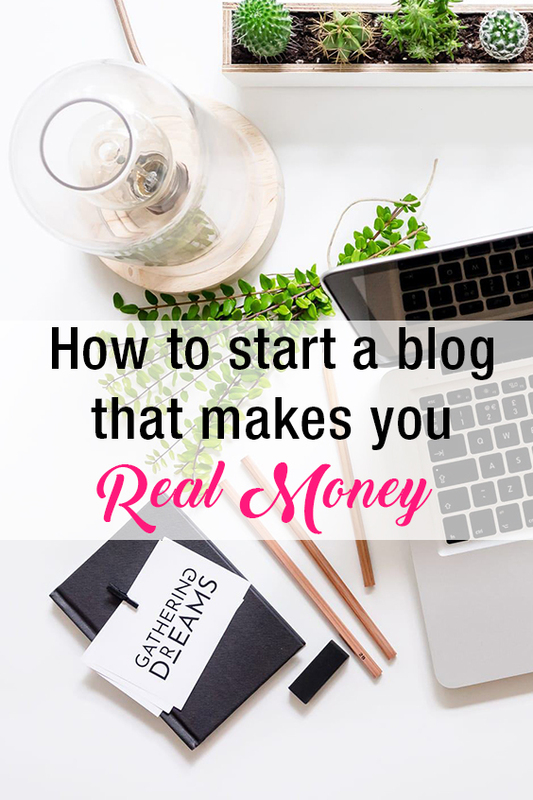 A few years ago before I had started my blog, I was unaware of how blogs really work let alone that you could make money blogging. Now I manage successful businesses which has completely revolutionized the control I have on my finances. to be honest, blogging has come as a welcome surprise to my life. At first I only did it as a hobby and didn't think much of it, but gradually I realized what a good source of income it can be. Making money through blogging is not that hard but it isn't too easy either. Like any other profession, it requires hard work and dedication to get to a place you can be proud of. Unlike any other profession, blogging comes with a lot of flexibility. You can work from home, travel all year round and all the while manage your blog successfully. Once you get the hang of it, no one can stop your blog from becoming a successful money making business! So, based on my own experience as a blogger who manages to make a good amount of money online I will share the secret recipe of achieving a lucrative blog that will change your life for the better. As mentioned earlier, I had started my blog without any thought of making money online. Once I received my first pay through an advertiser, I could suddenly see the scope of blogging. It wasn't much money compared to the effort I had put into my blog, but it was the first earning I made through it. The first earning you will ever make will be an amazing motivator to grow and improve your blog. I started working harder, investing more time and improving the quality of my blog. It all paid off in the end because my blog income started increasing gradually, and hasn't stopped since! Despite how easy and miraculous it might seem, maintain a successful blog is no walk in the park. To make money blogging, you will need some expert tips and tricks that I wish someone had told me when I started blogging. So read on as I give you the most effective tips to make blogging your source of income. The first thing I recommend to everyone who wants to earn money blogging is to devise a well structured plan or strategy. This could save you a lot of time in the long run and will make the process much easier to handle. Creating a plan for my blog has helped me reach where I am today. When I first started my blog, the idea of making a plan for it didn't occur to me. It is hard to admit that this negligence might have cost me many good earning opportunities. Since I created a blogging plan, I have seen a marked improvement in my focus toward my goals, my income and my blog in general. In what ways will you make money from your blog? What methods will you employ to promote your blog and reach a larger audience? What are your goals and aims associated with the blog? If you can answer all these questions, then your plan is almost done. This blogging plan will help motivate you towards your end goals and keep you focused until you achieve them. Remember, the most important thing you need to earn money through blogs is to stay motivated and to believe in your blog! When you first start, keep your blog as somewhat of a side business to your actual source of income. Start it as a hobby, have fun with it and experiment with your blogging styles. Once you are confident in your blog and the income it is generating, you can make it your main source of income. Blogging can be daunting and unpredictable, so you never know when the algorithms might change and cause your income to fluctuate. Starting a blog on the side will allow you to ignore such technicalities and truly focus on your blog, and its contents. Blogging might even serve as an enjoyable escape from your boring day job until it turns into a good source of income. Starting a blog on the side will make the whole learning process a lot more fun and less stressful since you will have your day job to provide you income if things don't go well at first. So, even though you should take your blog seriously since the start do make sure to have as much fun with it as you can, because if you will have fun writing it the readers will have fun reading it! The most important ingredient for a successful blog is the quality of content. You need to publish high quality content in order to captivate your readers to successfully generate money through blogging. It isn't necessary for you to be an expert or a professional writer to capture your audience's attention. All you need is knowledge and passion about the subject you are writing on. Your interest of the subject will reflect in your writing and bring readers which will come back for more. There are a few points that you need to consider regarding the quality of content on your blog. Think carefully about the subjects that you prefer writing on. Write with your own interest in mind and you will find your writing to be captivating and interesting. If you are passionate about the subjects, the quality of your content will improve on its own. Make sure to enjoy writing your content, so the people reading can enjoy it too! When you are brainstorming for a topic, pay special heed to your readers' feedback and what they want you to write about. Often you will find yourself a great blog idea just by looking at your readers' valuable input in the form of questions or comments. Good research is key for producing high quality content. Make sure to cover all your bases and do the best research you possibly can to provide your readers with accurate information. Use the internet, books, go to the library and search for reliable statistics to lend your writing more credibility. Write descriptive and detailed content. Concise is good, but when you have to provide information about a huge topic make sure to keep it detailed. A few hundred words can be good occasionally, but a large well researched blog post will garner readers' attention and provide more insight into the topic. Proofread your content before publishing it. Proofreading will ensure that your content is high quality and does not have any mistakes in it. Who doesn't want to earn doing what they love? Any profession can get boring if you don't have fun doing it, blogging is pretty much the same. It could be amazingly fun if you are passionate about writing. The most successful blogs are written by people who love blogging and writing. Despite being so fun, blogging isn't as easy as it might seem. You need to invest a lot of time and effort to get desired results. Sometimes even as much as 100 hours a week. This is why it is important to be passionate about your blog and your goals so you can stay in the game without losing motivation. Blogging is an ongoing learning process. There is always something new to learn, contacts to make, research to do and more methods to make money blogging. All this is made easier if you love everything that comes with being a blogger. I love what I do and I am passionate about my blog and its content. This makes me look forward to waking up every day and investing time in my blog. This is why I manage to not feel stressed and frustrated after a long hard day of working on it. It is something I love to do, and it also happens to be my source of income! One of the most important growth factors for your blog is how good you are at networking. It is essential for a blogger to make friends with other bloggers, go to blogging conferences and share other people's blogs. This builds your blog's name in the blogging community which you need to be an active part of. Many bloggers undermine the importance of networking by considering other blogs as competition. That is a bad attitude to have because it will make it harder for you to be accepted in the blogging community. Networking can help you learn more about blogging, get you expert advice and some very good connections. So if you want to make money blogging, then networking is the way to go. I myself have learned many valuable things from other bloggers in the community. I can safely say that it would be harder to earn money from blogging if it wasn't for my networking efforts and help from others. As I said earlier, blogging isn't exactly a walk in the park. If it were that easy then everyone would be earning money through it. So throw the idea of making easy money out of the window, and prepare yourself for some real hard work. There is a long list of things you will have to do to achieve a blog that will make you money. When I first started my blog, I was spending over 10 hours a week on it and I didn't even know I could make money through it. If you are handling your blog with your day job then you may have to put in as much as 50 hours a week for both of them. No one said it was easy to blog, some months are better than the others but it's a crazy roller coaster ride. There is always something to take care of as a blogger. Although if you love doing it, it shouldn't be too stressful. There are several ways you can make money through blogging, and it usually good to use more than one. This makes your source of income diverse and you don't have to rely on only one form of income. Having multiple sources of income protects you from having bad income months. When one form of income fails, the other might come through. This diversity will help you a great deal in stabilizing the revenue from blogging. The most important part is to keep learning new ways of earning through your blog. Below are the different ways you can make money blogging. Affiliate marketing is a technique of monetizing your blog in which you generate an income by followers purchasing a particular product through your affiliate link. An affiliate link is a link given to you by that company or product which you post on your blog or social media so your followers can buy the product through that. Affiliate marketing allows you to review any product that you enjoy and hope that others would give it a try as well. Affiliate marketing is a great passive way of earning an income through blogging. All you have to do it create a blog with affiliate links and maintain the traffic to that page to enjoy as the income pours in. Generally there is not much for you to do except review products that you enjoy yourself. You can do this through your blog or emails, and there is little else than you have to do. Everyone is a potential buyer so as your followers buy the products you are affiliated with, you can get a good income out of it. There are some things to keep in mind when you are using affiliate marketing. Use a URL shortener such as Clickmagick to shorten your affiliate links so they look much better and more clickable than the ones provided by affiliate programs. Give honest reviews. Your readers will appreciate you for your honest reviews and can catch on real quick if they detect the reviews are faked. If you don't like something in a product, either mention it in your review or don't review the product at all. Ask for a raise. If you think your affiliate links are doing well, ask for a raise from your program. Worst case scenario is the affiliate manager says no, but maybe they will say yes instead. Maintain a good working relationship with your affiliate manager. Your affiliate manager can provide your readers with good offers, coupons, affiliate raises and much more. Make guides about the product. Users prefer to know how to use a product before investing in it. Make guides or tutorials on how to use the product and how it can be beneficial so more people are inclined to buy it. Create a recommendations Page. A recommendation page can be valuable for the readers as it lists down all the products and services that might benefit them. Click here to see my resources page where I show you all the tools I personally use. Use affiliate links in moderation. Going overboard with your affiliate links will just annoy your readers. Just use the links in the beginning, middle and end to make your readers notice it without it looking strange. Advertising is the most obvious way to generate money from blogging. That is how most blogger start off, and it is one of the easiest methods. This includes the partnership with a company to advertise their product or brand on your website or social media platforms. As your blog becomes more popular, companies will approach you themselves and ask you to advertise their products on your blog. You can generate a good sum of money with this technique. Display advertising allows you to use an advertisement network to place ads on your blogs. The income generated through this method can increase on decrease depending on the traffic on your blog. Once you use an advertisement network to place ads on the sidebar, below or side of the blog there is not much else you need to do. There are many popular advertisement networks used by different bloggers, some of them are Media.net, AdThrive, MediaVine and Adsense by Google. You can use any of these networks to place display advertisements and earn from it. To take full control of the income you make from your blog, you must make a product of your own. You can market this product to your readers through you blog posts. It depends on you what product you choose to create. You can make a course, a book, an eBook or whatever else you think your readers might be interested in. You can perhaps create guides and tutorials for people on your choice of topic. People will be interested in improving their blogging skills, and would love an expert bloggers advice on it. Your product will be a good way to earn income through your blog. Many bloggers don't comprehend the importance of an email list and newsletters. That is a huge mistake on their part, as ignoring this very important aspect of blogging can cost you a lot. Make sure you create a good email list as soon as you start blogging. There are obvious advantages to managing your email list and newsletter. I highly recommend bloggers to pay special attention to email lists no matter how inconsequential it might seem at the start. You have a personal Newsletter. Having your own newsletter is much different from a social media account. All the people subscribed to your newsletter choose to pay undivided attention to your content. You can eliminate worries of algorithms messing with your content's visibility because all your email subscribers will always receive your content. You don't have to compete with anyone else for your content to be seen. I use convertkit for most of my businesses, you can watch my full review here. It is an opportunity for promotion. Newsletter are an excellent way to promote your product among your subscribers. Your subscribers are tuned in to what you want to convey, and that is a very good opportunity to promote products to generate income. You earn loyal followers. All your email subscribers have specifically subscribed to your newsletter which makes them your most loyal readers. They probably like what you have to offer, and this is a great way to grow a loyal following. Delve into other forms of content. Email is a good way to provide your subscribers with other forms of content like email courses. Blogging is an ongoing process of learning. To constantly improve your blog, you must keep learning new strategies and ways to achieve a top notch blog. You need to invest time in Books, seminars and courses in order to learn everything you can to keep earning money from blogging. There are some very helpful courses and eBooks that you can check out in order to learn more on how to make money blogging. 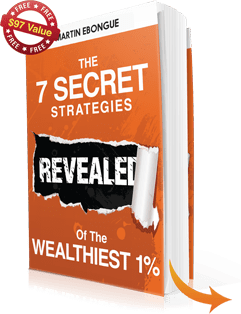 Ultimate Lifestyle Secrets: My proven step-by-step system for making money online that actually works. You don’t need to be an expert but only to follow and system: How to find a profitable niche, products to promote and how to create content. Instagram 6-Figure Profit Machines: My Turnkey System For Beginners To Create Multiple Fully-Automated Income Streams. No experience or technical skills required. Funnel Hacker’s Cookbook This book gives you the blueprint of how to build money making funnels and turn your business into a profit machine. My 100% FREE Blogging course: Everything that a new blogger requires and needs to know about starting a blog, picking the right topic, increasing traffic and improving their blog in several different ways. Clearly there are countless resources present on the internet for affordable prices (And some even free!). You can gain a ton of knowledge from such resources and really build your blog with the expert advice and guidance provided in them. A blogger's biggest concern is how to increase the traffic on their website. Contrary to popular belief, you do not need a ridiculously high amount of views on your blog to earn a good income from it. There are many bloggers who get millions of page views but earn less than bloggers who get much less views. So what's the secret to earning money blogging? The ultimate secret it having a loyal following base and being loyal to your readers too. It is easy to get someone to read your blog the first time, but it is hard to keep them coming back for more. Every blog is different and the audience is different too. Once you get a hang of what your audience wants, you can start earning through it no matter how many views you get. Even though having a loyal following is important, you should also focus on bringing in new readers and increasing the blog's traffic. In the end it depends on how interested and loyal your readers are to your blog. Once you achieve this loyal following and maintain it, you can start making money blogging. There are several different ways in which you can increase the page views on your blog. Some tips to achieve more traffic on your page are given below. Produce High Quality Content – Never compromise on the quality of the content on your blog. This is the one thing that will captivate your readers to your blog and your writing. Make sure your blog posts are informative, helpful and well-researched. Good quality blogs will ensure that your loyal followers get what they come for so they can continue to come back for more. Create a Presence on your preferred social media – social media is a very useful avenue of increasing the views on your blog. Make attractive images for your blog posts with captivating titles that can capture the attention of readers. Regularly share these interesting pictures so more and more people are compelled to visit your blog. You can use a good photo editing service like Canva to create attractive images and keep your blog fun. Spread to Other Social Media Platforms – Social media presence is essential for the success of your blog. Facebook, twitter, Instagram, Youtube, Snapchat and many more. All these social media platforms get millions and millions of traffic every day from all kinds of people and are the perfect way to get some exposure for your blog. Use them to your advantage and see the traffic on your blog skyrocket. Be Regular – It is crucial for a blogger to maintain their presence on the internet. Make sure to post regularly instead of falling off the grid. The more posts people see from you, the longer they will remember you and your blog. If you neglect posting for weeks or even months, most of your loyal followers will most likely forget about you which will make a huge dent in your traffic. Network with the Blogging Community – Socializing among the blogging community can help you in unimaginable ways. Other bloggers are not competition but they are your colleagues. Maintain good relationships with other bloggers and reach out to them through social media. Attend conferences to meet new people and increase your contacts. Learn and spread your own wisdom through networking. Do Guest Posts – Guests posts are a great way to attract new readers who might subscribe to your blog if the like what they read. Make Easily Shareable Content – The more you and other people share your content on social media platforms, the more traffic it is bound to get. Some blogs make it hard to share a simple blog post so the reader just ends up not sharing it. Make sure all your sharing icons stand out and everything including the title, username and name is ready to share. Often on sharing, the title shows up in all caps making it look highly unattractive. Make sure your blog post looks worth sharing so people don't feel uncomfortable or annoyed while sharing it. Captivate with catchy Headings – The first thing anyone sees of your blog is the title. The title can make or break the number of views you get. Make sure to keep the headings catchy and captivating so people are forced to click them and read what's inside. Use Search Engine Optimization – Search Engine Optimization or SEO is a great tool to increase traffic on your profile. It is an extensive topic that you must learn and master to reap its benefits. Luckily there are many courses you can follow to use this essential tool in your blog. Make browsing Easy – Make your blog easy to navigate so readers can easily reach other related blog posts by you. The reader should easily be able to locate the basics, such as your blog posts, the search bar, categories etc. Always use links to lead readers to related topics so they can stay engaged in your blog for the longest time. From all that you have read above, it is evident that managing a blog is a lot of hard work. Luckily it is also a lot of fun and anyone who loves learning will find it to be the best form of earning. Everyone has wondered how to make money through blogging at some point in their lives. The internet has created wonderful new avenues to earn a living, and using them to your advantage can change your life completely. So, even though earning money through blogging is not an easy feat, a little hard work and dedication will go a long way in making your money-making blog a success. The information that I share in all of my podcasts, are based on life experiences to complete freedom. You can also check:https://martinebongue.com/profit-machines for more information. Thank you and keep tuned on. I do love the manner in which you have framed this situation plus it does give me some fodder for thought. Nevertheless, from everything that I have experienced, I just trust as other commentary pile on that individuals keep on point and not get started on a tirade involving some other news du jour. Still, thank you for this exceptional point and even though I do not really agree with it in totality, I respect your viewpoint. Thank for opinion. Its much appreciated. Nice article. Once you have a good following on Facebook, Pinterest, Tweeter, and Instagram, then you’re good to make money through blogging. Focus on growing your community on social networks first, then monetize your blog later. Thanks.